I am afraid of everything. While that might be a slight stretch, it’s a far cry from the young woman that was once full of adventure, fearless, even if sometimes foolhardy. But life was fun. There was no anxiety. What happened to that girl? Enter: parenthood. At least, that’s when I think it happened. How can someone with such incredible wanderlust, now be afraid of just about everything? I’m here to tell you — you’re not alone. Or, maybe more precisely, I’m here to hopefully realize that I’M not alone in my fears. Months later, the trip is still on the back burner. To my knowledge, no further threats or attempts have been made to address the original news story. This gives me hope. It makes me realize that sometimes that is what [they] want: to terrorize. So I try not to play into this. Although my fears are not limited to terrorism, this has been a new one on the travel fear front. My first thought was that my grandfather was overly anxious in his old age, however well-intended. Second, when he traveled the Alaska Highway, it was gravel and potholes and more wild and new than when I ventured down the asphalt. And finally, I wasn’t planning on driving the Alaska Highway to get there, so that bit was a moot point. In the Alaskan bush, I saw only a few black bears that year while hiking mountains 45 miles a week. 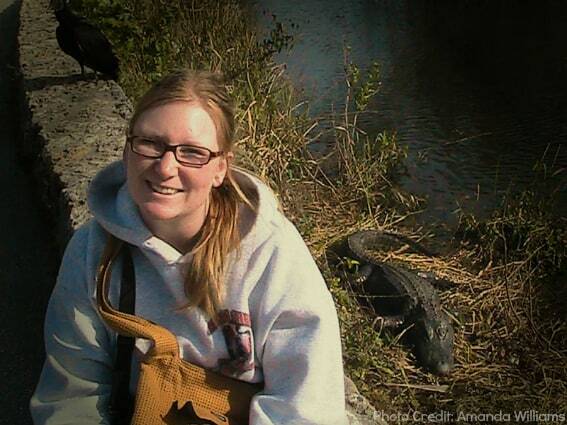 The same grandfather only a few years later gave me this parting thought while I left to board a plane for the Everglades: “Be careful of those gators, Mandy!” I paid him no mind, smiled, hugged him, and left for my adventure. I was entering THEIR environment, I’d be respectful and really, the gators were the last thing on my young mind. I was going to have an adventure, maybe photograph some birds and yes, some large gators basking on river banks. No worries. Then there was the time in Costa Rica I had to ford a brackish river, knowing full well that there were known crocodiles in the area that LOVED this type of habitat. 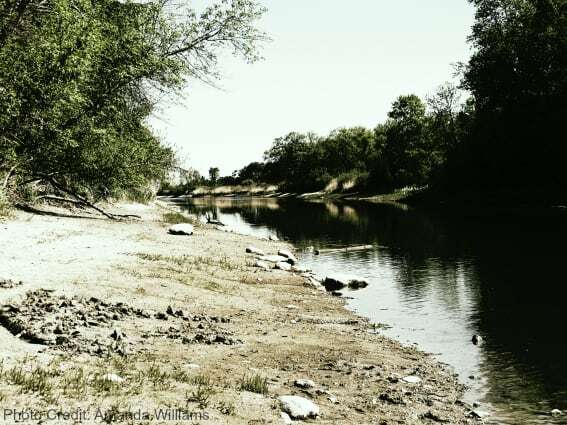 I simply held my pack above my head, donned my worn and tattered Chaco sandals, and passed through hoping for the best. Nothing came of it but a sunburn. 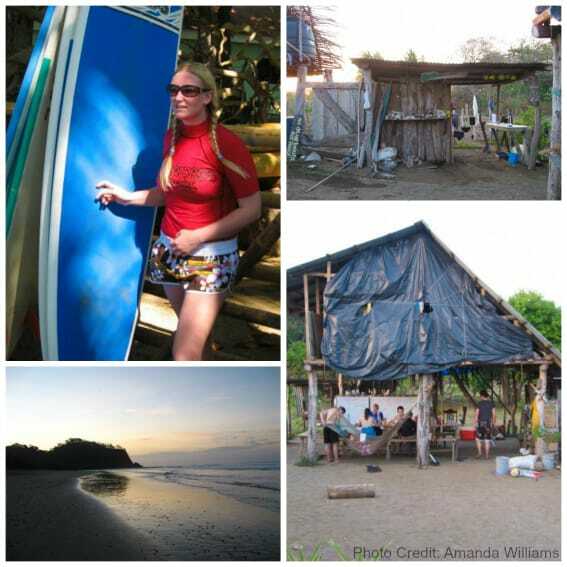 On that same trip, I also surfed in a great shark spotting area — I wiped out a LOT and got some coral scrapes. And had a blast. Perhaps the most dangerous thing I did on that trip was going to a local club to dance and swig a few Imperials. Those were the days of courage, of following instincts. Fast forward a decade when I was five months pregnant, in a van loaded down with gear, my husband, and our three-and-a-half year-old for a 6100+ miles round trip from Minnesota to Alaska. I sent up a lot of prayers on that trip. I knew that driving was statistically the most dangerous thing we’d do on that trip (or on any given day of “normal” life) – so as we sling-shot maneuvered in and out of RV traffic and traversed mountainous paths, I’d pray: “Please God, get us to our destination safely. Protect my family. Thank you. Amen.” Then, “Please God, protect our families at home, too. Thanks again. 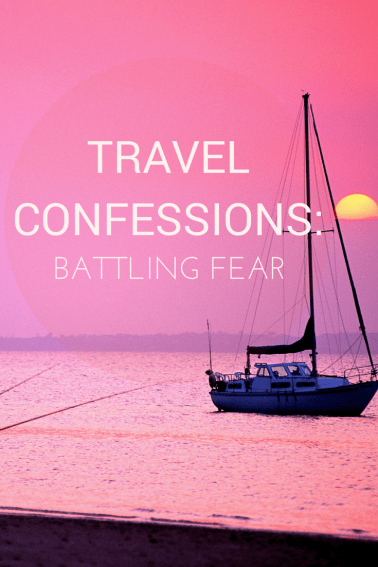 Amen.” Because not only was I bogged down with my own concerns about my immediate family safety on our trip, I kept worrying the worst would happen at home while we were gone as well. We ferried much of the way with our vehicle. 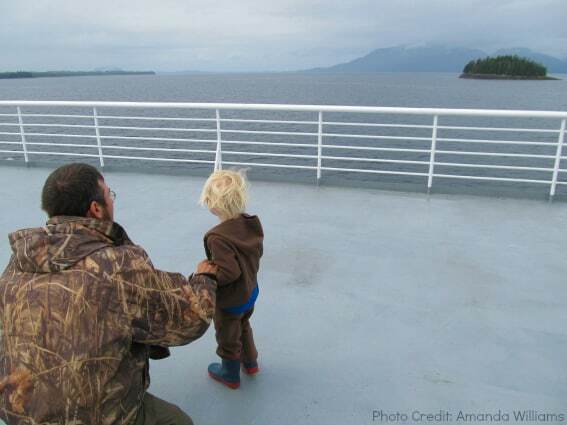 Even though I’d traveled the Alaska Marine Highway many times when previously living in Alaska, I’d never done it with children. Namely, never with my wild little boy. For the first sail, we were THOSE parents with the life jacket for our kid – JUST IN CASE. My husband also doesn’t float. I had visions of my son first falling aboard over the very secure rails, then my husband, followed by my pregnant self in an attempt to save us all in the frigid Pacific waters. This lasted about ten minutes. When I realized that it was one of those insane, exaggerated situations that were unlikely to happen, we used the life jacket as a pillow for the rest of the sailing. This fear I finally put to rest. After several sailings, we became accustomed to the soft rocking of the waves and recognized the vessel was in fact extremely safe – even for the little ones aboard! Another night on the same trip, we were in a campground where a brown bear was sighted about 500 feet from our tent earlier in the day. My husband was out fishing that night, so it was just the pregger and the preschooler holding down the fort. The fear of encountering a bear was absurd. I knew the moment that I WOKE MY CHILD to get out of his sleeping bag and get into our van (totally unprovoked) that it was ridiculous. But we spent half the night in the van terrified. Sad confession? I’m a wildlife biologist by training. Yes, my career before a full-time mom was as a rational, science-based, mammal-studying academic. And yet I spent the night in my van. True Tidbit: Recently, the same campground in which we tented had a “nuisance bear” frequenting the area that was eventually dispatched because of unwelcome interaction with people. The loss of the bear is upsetting, but it does make my spending the night in the van with my son a little more conceivable. At least that is what I tell myself. For those of you who have fears yet still sail steadfast in the stormy seas, how do you keep on keepin’ on when your brain is your biggest enemy (which it turns out is in cahoots with your heart making those parenting worries so hard to shake)? How does one embrace that powerful wanderlust and curiosity for the world to overcome the fears, both rational and unfounded? For me the answer is: I just do. I pack that suitcase. I make reservations. I invest the money. I pray. I try to realize that yes, people are mugged, stabbed, lost, murdered, stung, beaten, bitten, and bewildered while on vacation, but it can all happen at home too. So why not let the kids experience the world with you at their side? I’m still a firm believer that the best memories are made in the backseat of the car, strapped in with the rest of the family. Each trip is a testament to my love for travel and my efforts to become a more sane global traveler with the help of my family. And sometimes Dramamine. Oh Amanda – I can really relate to this. Before we left on this big trip (nine months in Asia) I felt so sick. Really unwell, the fear was almost paralysing. The funny thing is when we arrived, I absolutely realised there was nothing to worry about – the kids are having a great time and you’re right, terrible things happen at home too. My best advice – shut your eyes and go for it!